A familiar aircraft with unfamiliar markings. This Junkers Ju 87 Stuka was in Italian service in North Africa when its pilot was forced to land behind British lines after running out of fuel. Of the ten aircraft forces to land only this one remained airworthy. 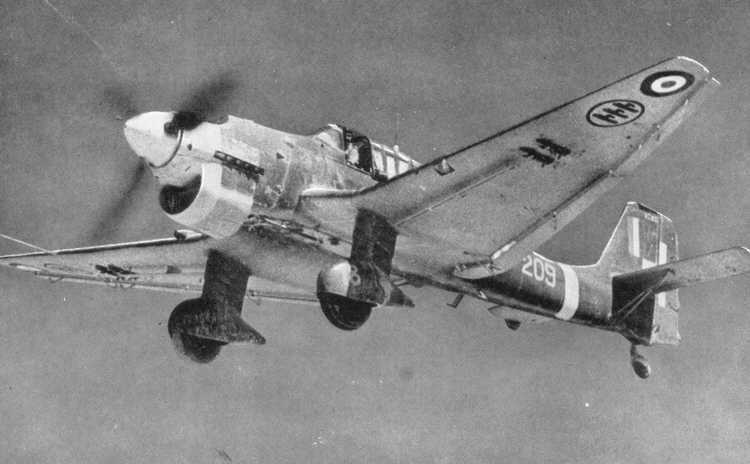 Here it is seen with both British and Italian markings while being flow by a R.A.F. pilot.